Lighting in San Jose can do much more than make your home look prettier; it can also enhance your security and help you avoid injuries. Modern light fixtures also come with a range of high-tech options and customizable features that make them even more useful. Watch this video clip for a crash course in outdoor security lighting. If you use your outdoor lighting properly, it can serve as an effective security system in a number of different situations. It is typically a good idea to set your outdoor lighting up with sensors so that they turn on whenever someone enters a designated area. This will keep them from being on too often; if they are on all the time, criminals may ignore them. In addition to deterring potential home invaders, outdoor lighting can also make it easier for guests to navigate to your front door without worrying about tripping. There are all different kinds of light fixtures in San Jose. They may range in shape, size, design, and even brightness, and each type may serve a different purpose. Atmospheric home lighting can help to set the mood, while accent lighting can put the spotlight on a decoration that you are particularly fond. At the same time, task lighting can be more purposeful and help you accomplish specific objectives. 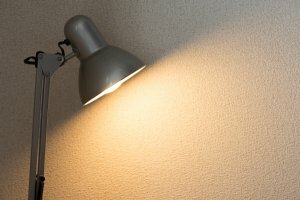 Read on for a look at some of the basic types of lighting. From candles with specific scents to a playlist that features relaxing songs, there are many “go-to” ways to create a certain type of environment . Another popular contributor is called ambient lighting. This type of lighting fills an entire room and sets the tone for the space. When you arrive home to a dark house, the first set of lights you turn on may be a set of ambient lights. Some homeowners choose to save on their energy bills by pairing ambient lights with mirrors that bounce the light around the room. Your atmospheric ambient lighting might come from valence lighting fixtures, a recessed area of the ceiling, or another type of fixture or configuration. Are you proud of your decorating skills? Accent lighting would be the type you use to show them off. You can use accent lighting to illuminate a special piece that you have hanging on the wall in your living room, or you can use it to show off your extensive book collection. You can even use it outdoors, highlighting big beautiful trees or interesting water features. If there is a specific location where you would like to draw the eye, you can do so using accent lighting. Task lighting is useful when it comes to using an area of a room that is intended for a certain purpose. If you have a grand piano in the corner of your living room, you might have task lighting above it so that you can see what you are doing while playing. Try combining all three types of lighting in your space. When you walk into a store to buy new light bulbs, you will often find dozens and dozens of different kinds of bulbs. Choosing the right kind of lighting for your home can be a challenge because there are so many options. Don’t let this scare you off. 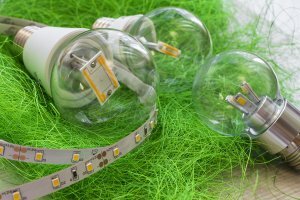 The truth is that you can find the right bulbs for all of your lighting fixtures near San Jose in just a few minutes if you know what you are looking for. Here is how to choose the right bulbs. Decide how bright you want your light bulbs to shine. Are you looking for just enough light for a small den, or do you need a lot of light for your kitchen space? Regardless, you are going to want to check the packaging on light bulbs and pay close attention to the number of lumens they will provide. 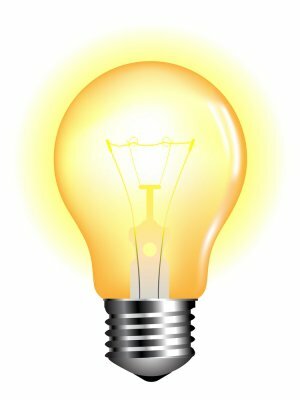 Most homeowners use 60-watt incandescent light bulbs to light up rooms, and they produce about 800 lumens. However, you now have the option to upgrade to LED lights, and all you need to do to upgrade is find LED lights that produce the same number of lumens. Read the fine print to make sure light bulbs are ideal for your lighting fixtures. Two light bulbs might look exactly the same, but this does not mean that they are equipped to provide light in certain types of lighting fixtures. For example, there are many light bulbs that cannot be used in some ceiling fans. They will burn out very quickly if you attempt to use them in the wrong kind of lighting fixture and could even cause electrical issues, so make sure you choose bulbs that will work in your specific fixtures. Look for the ENERGY STAR logo. ENERGY STAR LED light bulbs will distribute the light that they create evenly and send it out in all directions. More importantly, the ENERGY STAR logo indicates that light bulbs are energy efficient . This will ensure that you keep your energy bills as low as possible when you install your new light bulbs. If you have spent a lot of time and money on your home’s landscaping, don’t you want to show it off at all times, even when it’s dark outside? By strategically installing outdoor lights, you can highlight your home’s best features and make it look gorgeous once the sun goes down. Wright Lighting and Fireside can help you come up with plans for outdoor lighting in San Jose . There are plenty of outdoor lights you can add to the exterior of your home. Uplighting can draw attention to the architectural features of your house as well as any landscaping that you have had done, while flood lights can provide the security you need and keep intruders away from your home. You can set all of your outdoor lights to turn on once the sun goes down so that your home looks its best throughout the night and is as safe as it can possibly be. Call on Wright Lighting and Fireside to be your lighting company, and the exterior of your home will undergo a total transformation in a short amount of time thanks to your new outdoor lights.